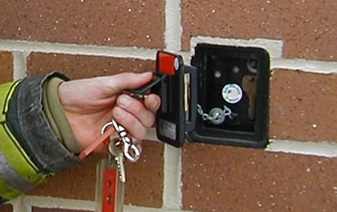 The Knox-Box® Rapid Entry System is a secure emergency access program developed for property owners and first responders. First Responders across North America use the Knox-Box Rapid Entry System to prevent costly entry damage while protecting property and lives. When a fire breaks out or there is a medical emergency, Knox® products allow immediate entry into buildings and property without forced entry damage or delay. With the Knox System, there is no cost to the fire department, no waiting for a property owner to unlock the door in the middle of the night, and no forcing the door open to gain entry. 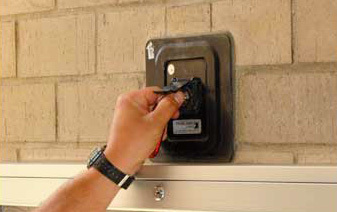 The Knox Rapid Entry System reduces response time, property damage and the liability for lost keys. Ashland City Fire Department requires a order form to be obtained through us. We do this for our own in house tracking purposes. Please contact us for any other information on Knox Boxes and our requirements. Property owners store entrance keys, access cards and floor plans in high-security Knox-Box key boxes mounted near building entrances. 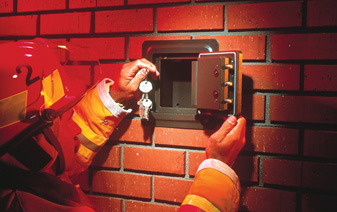 Each Knox-Box purchased by a property owner is keyed to a single master key controlled by the local responding department. In addition to key boxes and vaults, Knox padlocks and key switches operate with the same master key. There are so many gated communities today that fire and police departments are delayed when responding to emergency calls. Increased property damage and even total loss is a threat when property is not accessible. More than 11,500 departments in North America use Knox® products. The Knox System includes UL listed lock boxes, storage cabinets, heavy-duty padlocks and electronic override key switches. If you would like to learn more about Knox Boxes for residential or commercial use, please visit knoxbox.com or contact us.